Revolution in custom CAD development! Incredible speed and accuracy of DXF, DWG, DXF, DWG, HPGL, SVG, CGM visualization for developers. Small price makes it ideal for inner industry programming with MS Visual Basic, MS Visual C++, MS Visual Studio .NET, Borland Delphi, Borlan C++ Builder and other.all popular raster drawings, including TIFF, BMP, JPG, PSD, and GIF.Windows metafile: EMF, WMF.computer Graphics Metafile: CGM. ...... number of people. For example if you have five men who work with your application, add CAD Image to your software free of charge and after that purchase 5 end-user licenses. All versions of AutoCAD DWG and DXF are supported. * all popular raster drawings, including TIFF, BMP, JPG, PSD, and GIF. 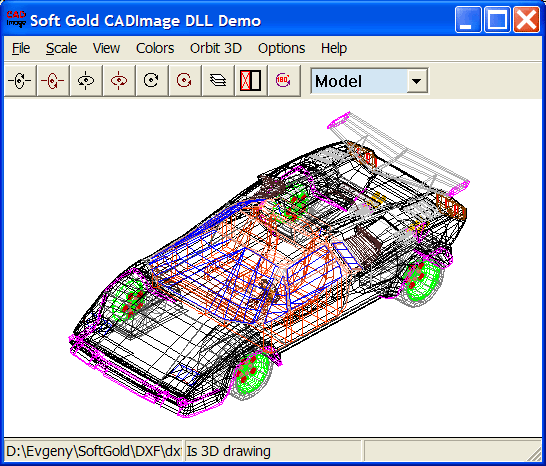 Qweas is providing links to CAD Image DLL 7.2 as a courtesy, and makes no representations regarding CAD Image DLL or any other applications or any information related thereto. Any questions, complaints or claims regarding this application CAD Image DLL 7.2 must be directed to the appropriate software vendor. You may click the publisher link of CAD Image DLL on the top of this page to get more details about the vendor.